Bethlehem High School is celebrating 200 years. 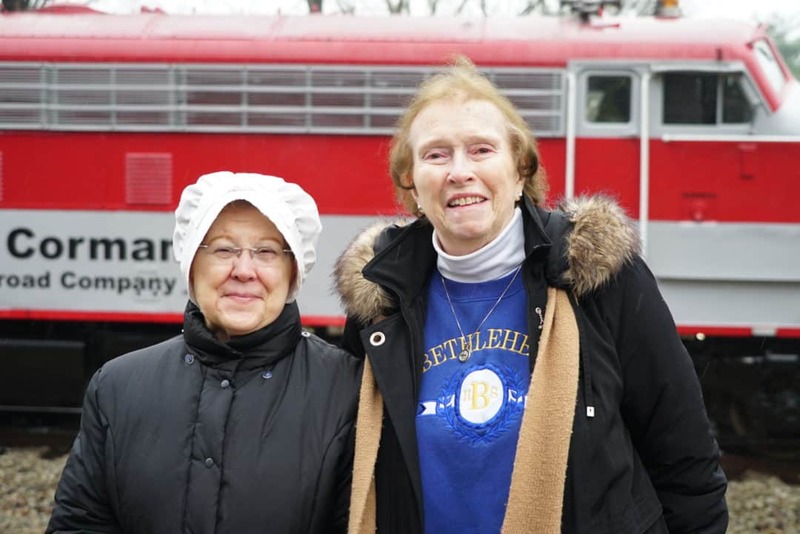 In honor of the Sisters, they visited Nazareth as was done in the past, by train! They were greeted by Sister Rita Davis as she portrayed Mother Catherine Spalding and by Sister Mary Ninette Manning. “Bless them (SCNs) for the gift to Catholicism in the Holy Land of Kentucky. Bless them for leading, guiding and teaching us all through the gift of education,” was read aloud during the blessing ceremony held with every student of Bethlehem. 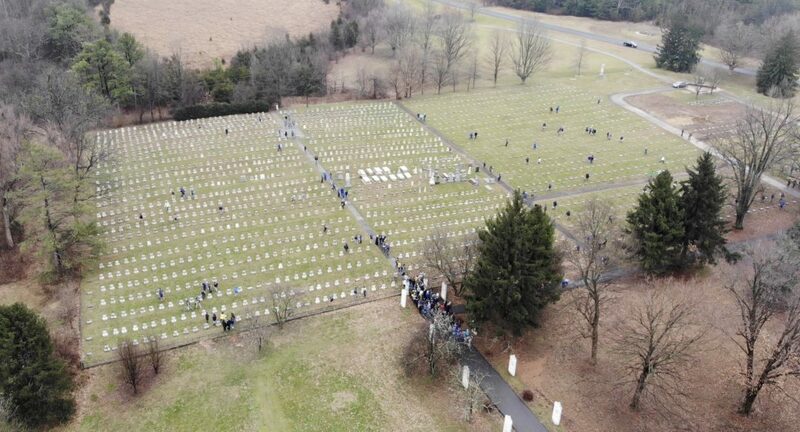 Afterward, in a beautiful gesture, every student processed to the cemetery where they placed a flower on each gravestone of over 300 deceased Sisters who have taught at Bethlehem over the 200 years. Truly a gesture of gratitude and remembrance by the students. May God bless you! What a beautiful , creative way to remember and honor the SCNs who gave presence and service at Bethlehem. May your school be blessed for many years into the future.